University of Wisconsin Press, 9780299311308, 256pp. As religious leaders spoke out on issues of civil rights, peace, or poverty, CCS members were also called to action by the suffering of women who had approached them for help. Overwhelmingly male, white, affluent, and middle-aged, these mainline Protestant and Jewish clergy were nonetheless outspoken advocates for the rights of women, particularly poor women. 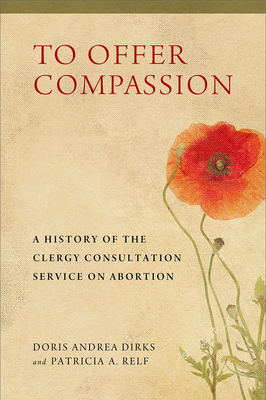 To Offer Compassion is a detailed history of this unique and largely forgotten movement, drawing on extensive interviews with original participants and on primary documents from the CCS's operations. Doris Andrea Dirks is a senior academic planner with the University of Wisconsin System Administration. Patricia A. Relf is a freelance writer.